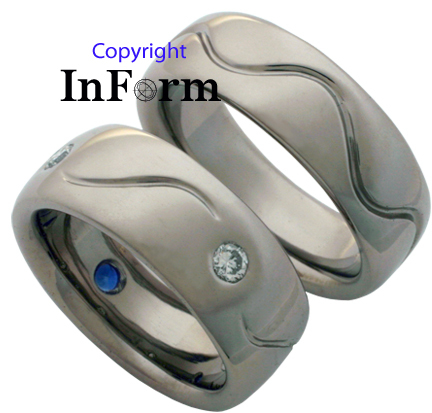 What can be seen below is a pair of 14K palladium white gold wedding bands. Palladium white gold is an interesting alternative to the standard nickel based white golds. 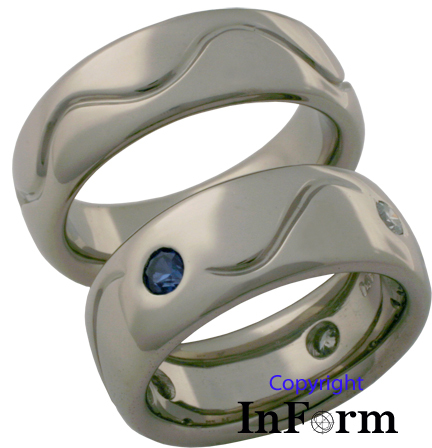 The color is somewhat different and it has other characteristics that make it a unique metal to be used in white gold wedding rings. 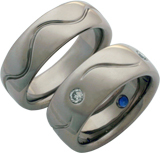 While these white gold wedding bands aren't particularly unique in shape, the small details engraved into the surface create a common bond between the rings.